The Bible offers us real hope in the midst of these perilous times. 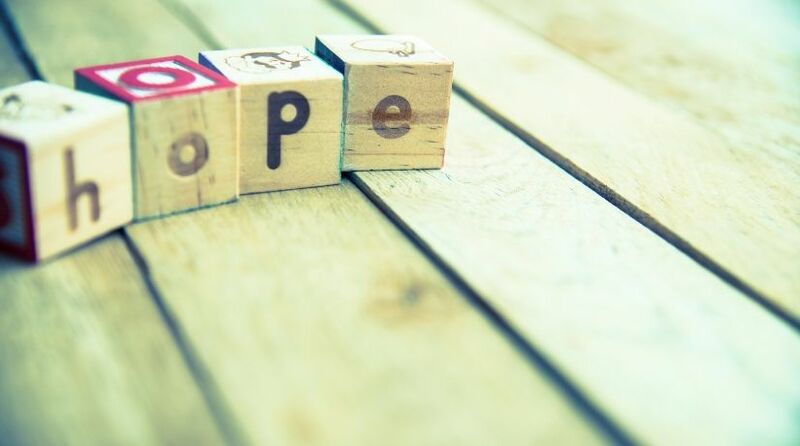 Where can we find that hope, and what do we need to build to experience it in our lives? We live in a world that is seemingly on the brink of disaster. Terrorist attacks are on the minds of people throughout the world. Many wonder when the next attack will be. People are beginning to lose hope that there is a way out of all of this chaos. But there is still hope for this world, and there is still hope for every individual on this planet. We just have to know where to look. And that is within the inspired pages of the Bible. The Bible is replete with scriptures that give hope to a world that is confused, frustrated and frightened. Paul tells us that through trying times we can find a lasting hope, and that hope, which is given to us through the Holy Spirit of God, does not disappoint. Now that is the kind of hope that this world needs and is looking for—a hope that does not disappoint! But what is that hope? Is it something that comes automatically into our lives, or is it something we need to build? To begin to grasp this concept of biblical hope, let’s look at three building blocks mentioned in Romans 5:3-4: tribulations, perseverance and character. This world is in the midst of what the Bible calls perilous times (2 Timothy 3:1), times of uncertainty and danger. But God tells us that through trying times we can build up our hope. One of the strangest-sounding sayings in the Bible is found in James 1:2. It says that we are to “count it all joy when you fall into various trials.” But how are we to find joy in difficult times? Exactly what is meant by that saying? We have to look at what the word trials, or, as the King James Version translates it, temptations, means to fully understand. This word trials in the Greek is peirasmos, which includes the meaning of putting to the proof. So then, it is by remaining faithful to God through difficult and trying experiences, such as living in dangerous times or suffering through a serious illness, that we are being tested and proved for something better. Spiritual strength is built when we remain steadfast through trying times, but relief doesn’t always come right away. Sometimes we have to be patient for the end result of our trial—that something better we hope for. Often in life we have to wait for something we want. We purchase something online, and we have to wait for delivery. Or we look forward to a special event that might be a week—or a month, or a year—away, and again we have to wait for it. Hope is the same way. If we have something, we no longer hope for it; but if we don’t have it, we must patiently wait for it. That brings us to the second building block we need in our lives that can help us build our spiritual hope, and that is perseverance. Perseverance, or endurance, is a steady persistence, especially in the face of difficulties or discouragement. We can be overwhelmed at times, whether from stress at work, at school or in our everyday activities. And to top that all off, there is the 24-hour news cycle that seems to bring nothing but disappointment and discouragement. All those things combined can bring us down and make us want to give up hope. But that is where perseverance comes in. We don’t give up or give in. We take the trials and tribulations we experience, and we grow from them. We don’t give up or give in. We take the trials and tribulations we experience, and we grow from them. We tell ourselves that because of the trial, we are stronger and more able to face even greater trials in the future. It’s that kind of a positive attitude that will keep us going and keep us enduring. It helps build hope within us. You may have heard the phrase attitude is everything. To a degree, that is accurate. Our attitudes can be directly linked to how hopeful we are. In fact, our attitude can lead to an optimistic or pessimistic view on life, which can even affect our health. Campbell went on to talk about how we perceive events in our lives, whether in a positive or negative light, concluding that those who looked at events positively were more hopeful and healthier. When we view an event in our lives—from a discouraging bit of news to a debilitating injury—do we strive to take something constructive and encouraging from it, or only something destructive and discouraging? The answer to that leads us to the third building block we need if we want to build hope in our lives—character. Character is who we are when no one is looking. It describes the qualities that make us who we are. Are we honest and trustworthy? Are we dependable and reliable? Are we persistent and determined? These, along with many others, are character traits that we should want to build in our lives. And they are the things that make for a positive attitude and a positive outlook on life. And they are traits that build up hope within us. Jesus Christ tells us in Matthew 24 that as we get closer to the end of this age and to His return, there will be some extremely trying times on this earth, both for nations and for individuals. It is during these times of crisis that our character will be tried, tested and put to the proof. How will we respond? How will we stack up? Will we be able to rely on the godly hope that we have been patiently building in our lives? The gospel, or good news, concerns the return of Jesus Christ to this earth to usher in a time of peace, prosperity and reconciliation for the whole world. Jesus Christ will establish the Kingdom of God, or the government of God, on this earth, with Christ Himself as the King of Kings and Lord of Lords (Revelation 19:16). God’s government will produce a time when there will be no more terrorism, no more world wars and no more perilous times to frighten us. We are preparing now to help Jesus Christ set up the Kingdom of God, and that is why we suffer through trials. It is why we persevere in life, enduring to the very end. And it is why we build and strengthen godly character—so we can be like Him and help Him bring about that peaceful, prosperous and joyful world. In other words, the Kingdom of God is exactly what we hope for!